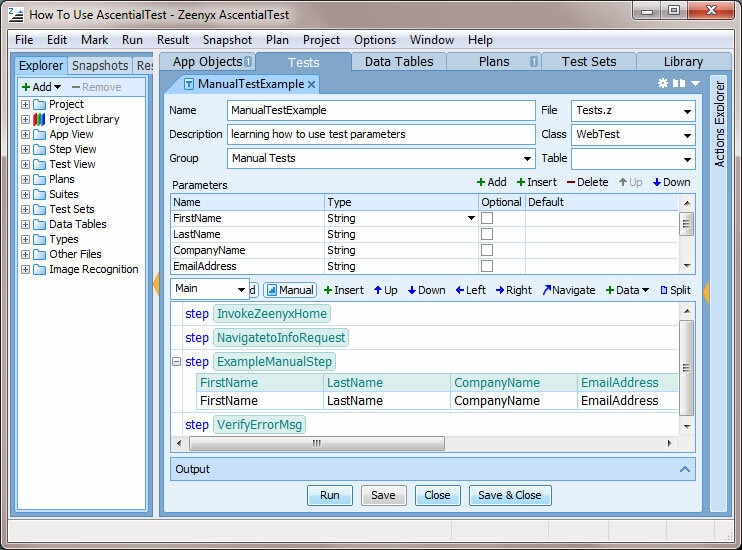 Data tables are automatically generated by AscentialTest based on test input fields. Data tables offer significant advantages over spreadsheets for maintaining test data. Instead of storing only strings, AscentialTest data tables store data in the type that is required by test actions including complex lists and records. 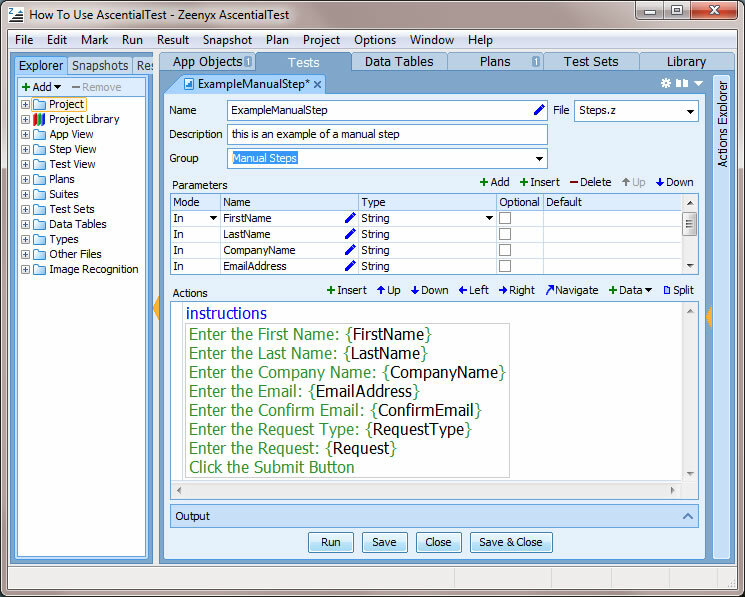 Users can automatically generate data tables from tests or build them visually using a specialized editor. 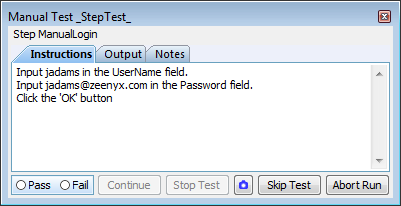 All the user has to do is provide the test data. The manual test prompter invokes on the tester's computer and provides instructions along with the ability to capture outputs, notes and attachments.